DEPOSIT – Make a deposit and experience the new and exciting features SportNation has to offer. PLAY – Bet on the widest selection of sports markets and get rewarded with SportNation rewards! 2. Your first deposit must be between £20 and £200. On successfully making your first deposit, you will receive bonus funds equal to 50% of your deposit amount. The maximum value of bonus funds available is £100. The maximum stake towards wagering is £50. 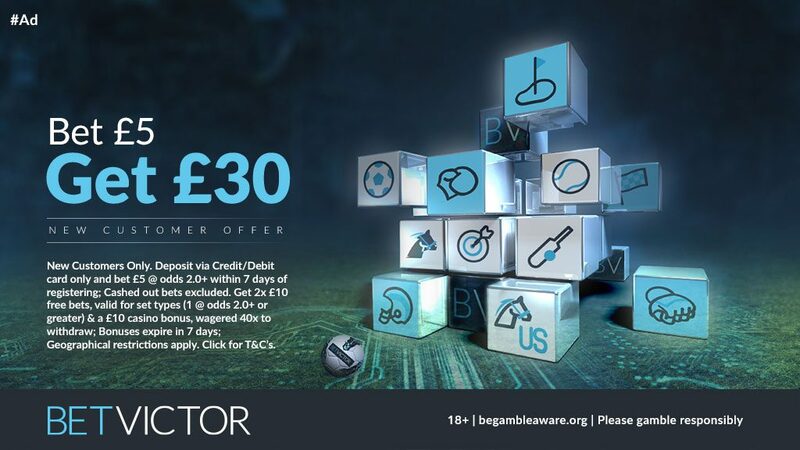 Any bets placed exceeding the £50 maximum will not count towards any wagering requirement. Any deposit made via Skrill or Neteller are excluded from redeeming this bonus. 3. Place a series of bets at minimum odds of 1.6 with a minimum stake equal to the combined value of 7x your deposit amount and bonus funds received and once such bets have settled, any bonus funds and winnings remaining will become withdrawal. Duplicate and multiple bets on the same event do not count toward wagering requirements. Minimum withdrawal £20. 4. Customers may cancel their participation in this promotion at any point by contacting (help@SportNation.bet). In the event of a cancellation of this promotion or the promotion expires before the turnover requirements have been met, all bonus funds received, including any winnings in your bonus winnings wallet, will be forfeited. Any remaining real money funds from the initial deposit (after any losses are applied) can be withdrawn upon cancellation if wished. 6. This offer is valid to use once per customer. 8.Whenever bonus funds are issued as part of any promotion or otherwise, a players real money balance will always be used first when placing Bets before any bonus funds can be used. JOIN – Open a Sportnation account and join our nationMake a deposit and experience the new and exciting features SportNation has to offer. DEPOSIT – Bet on the widest selection of sports markets and get rewarded with SportNation rewards! 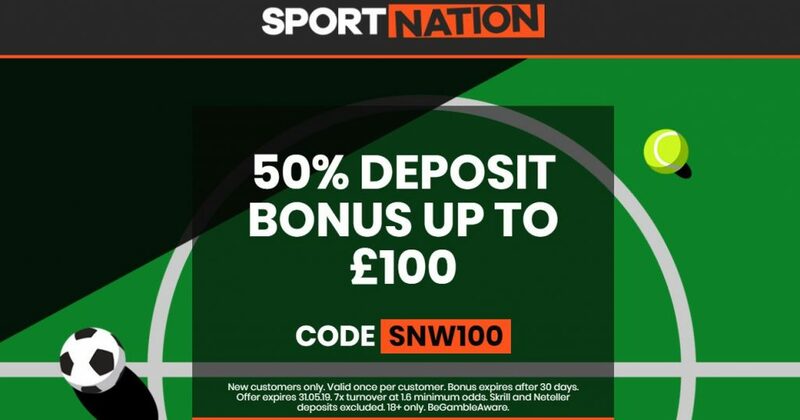 PLAY – Remember to use the Sport Nation Promo Code ‘SN50NEW’ during registration to activate your deposit bonus. 1. 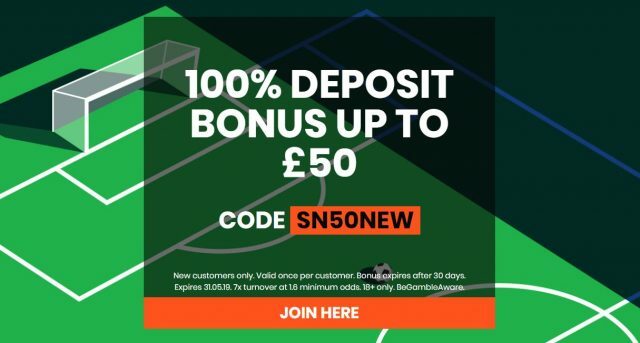 Register with SportNation adding your deposit code SN50NEW where prompted to do so on first deposit. 2. Your first deposit must be between £10 and £50. On successfully making your first deposit, you will receive bonus funds equal to 100% of your deposit amount. The maximum value of bonus funds available is £50. The maximum stake towards wagering is £50. Any bets placed exceeding the £50 maximum will not count towards any wagering requirement. 3. Place a series of bets at minimum odds of 1.6 with a minimum stake equal to the combined value of 7x your deposit amount and bonus funds received and once such bets have settled, any bonus funds and winnings remaining will become withdrawal. Duplicate and multiple bets on the same event do not count toward wagering requirements. Minimum withdrawal £20. Any funds deposited over the £50 limit will be subject to the turnover requirement. You’ll then receive a £20 free bet. You can do this FIVE times and get a total of £100 in free bets. Place your bet on ANY Sportsbook market. Exchange bets are excluded from this particular Betfair free bets promotion. Your free bet can only be used once. If you stake less than £/€10 with any of your free bets, the remainder will not be useable. Stakes are not returned with winnings if your free bet wins. Your winnings will be credited to your main wallet. 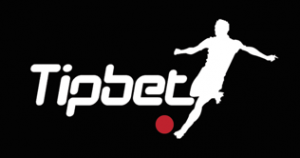 Get a 100% Welcome Bonus at TipBet! Claim this TipBet Betting Offer today and claim a generous 100% welcome bonus of up to €150! 1. Bonus is valid from 11.06.2018. This Bonus can be claimed once and €10 is the minimum deposit amount. 2. Bonus applies to ALL customers residing in Germany, Austria, Malta, Sweden, Switzerland, Luxemburg, Norway, Finland, Brazil, Iceland, Netherland, Denmark, Spain, Liechtenstein, Latvia, Estonia, Lithuania and Slovenia. Customers not listed have different rollover criteria as is described in term 5. 3. The Welcome Bonus is worth one hundred percent (100%) up to a maximum amount of €150 on the corresponding first deposit up to € 150. The first deposit amount and the bonus amount must be turned over at least five (5) times on sports bets with total odds of 1.60. The first deposit amount and the bonus amount must be turned over together at least nine (9) times on sports bets with total odds of 1.60. 6. Bets that are settled with odds of 1.00, as well as System or multi-way bets, will not count for the fulfilment of the bonus turnover requirements. 7. Only one selection per match and sporting event is relevant for bonus turnover requirements. Multiple bets on the same matches are restricted with this bonus. 8. Bonus wagering requirements need to be fulfilled within 90 days since bonus is awarded. 9. In order to transfer the amount to other wallets or to request a withdrawal with this bonus or responding winnings of this bonus, the rollover requirements have to be fulfilled. 10. Additionally to these terms, Tipbet’s Bonus Terms and General Terms & Conditions apply. ** With this bonus active, applicable and relevant bets will be placed in whole or in part with the bonus amount in first order. 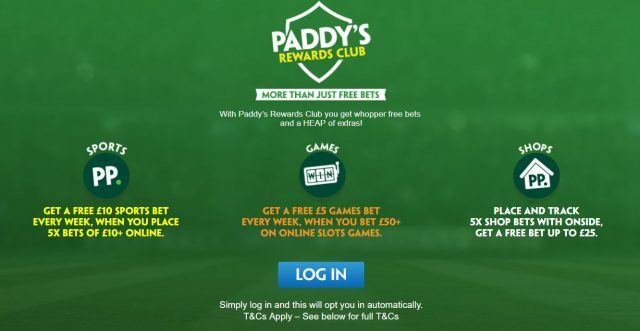 With Paddy’s Rewards Club you get whopper free bets and a HEAP of extras! SPORTS – Get a free £10 Sports bet every week, when you place 5x bets of £10 online. GAMES – Get a free £5 Games bet every week, when you bet £50 or more on our online slots games. As a Paddy’s Reward Club member, we may occasionally send you nice things such tickets to live events, discounts on third party products that we think may be of interest to you, or free stuff. Any such rewards should not be considered to be the promotion or marketing of such products by Paddy Power. We are offering these prizes to you as a reward. Wager £50 or more on slot Games and you will be credited with a free £5 bet the Monday after your £50 wagering is complete. Play on any of our slot Games across Desktop, Mobile or Side Games which are all valid for this promotion. Play on any other Games (Blackjack, Roulette, Video Poker, Virtuals) will not contribute towards this promotion. Max free bet is £5 per customer per week. What are the eligible games? All games on Paddy Power Games are eligible with this bonus except for the following slot games: Spartacus, Rainbow Riches, Zeus: God of Thunder, Rainbow Riches, Rainbow Riches Free Spins, Rainbow Riches Reels of Gold, Giant’s Gold, Monopoly, Rainbow Riches Fortune Favours. All free bets will be credited the next Monday after your £50 wagering is complete. Free bets will be available to use on any selected Games until 23.59.59 on the following Sunday after being credited. If you don’t wager anything for 30 days on your account, your total drops back to zero. Bonus will be paid out as Games free bet. One Bonus per customer. Free bets can be used on Paddy Power Games only. The bonus needs to be wagered one (x1) times on Paddy Power Games. As a Paddy’s Reward Club Member, we may occasionally send your nice things such tickets to live events, discounts on third party products that we think may be of interest to you, or free stuff. Any such rewards should not be considered to be the promotion or marketing of such products by Paddy Power. We are offering these prizes to you as a reward. We reserve the right to exclude players that participate in the promotion with multiple accounts. If you abuse the promotion, for example, if we suspect that you are using an abusive strategy to complete the wagering requirement, we reserve the right to exclude you from future promotions. Customers who have received this offer directly from Paddy Power are eligible to take part. Customers who track 5 bets each worth £5 or more on 5 different days will receive a 6th bet free. How do i collect stamp? To qualify for this offer, customers must track their qualifying bets by entering their phone number on the betting machine in shops at the point of tracking OR must log in to PP Onside using their phone number before tracking their bet ticket via scanner or manual entry. Customers must use the same valid mobile number for all 5 qualifying bets, in order to qualify towards the 6th bet free promotion. Each qualifying bet for the 6th bet free promotion must contain a total stake of £5 or greater at odds of 1.5 (1/2) or greater to earn a stamp. Any given customer can only qualify for one stamp per calendar day. Only one bet placed per calendar day qualifies for a new stamp. Bets must be tracked whilst they are still valid and unsettled to count towards a stamp – expired and settled bets do not count. Cashed out bets do not count towards a stamp. Bets placed with free bets do not qualify for a stamp. 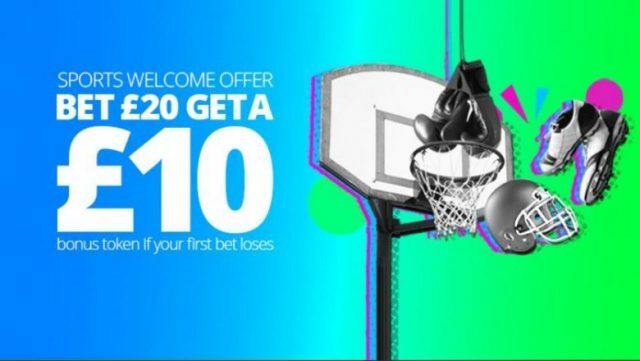 How do i redeem my free bet? You will receive an SMS message containing your free bet code which can be used in any Paddy Power shop. The free bet code will also display in the ‘Me’ section of PP Onside, even when expired or redeemed. Select ‘free bet’ on the Betting Machine and enter the 8 character code to redeem. Free bets must be placed at odds of 2.0 or higher and have 3 legs or more. Free bets have to be redeemed within 7 days of receipt. Free Bet vouchers or codes cannot be cashed out, unless stated otherwise. You will not see a cash out value for bets placed using Free Bet vouchers or codes. Customers must be opted into marketing to receive the free bet code via SMS. Applies to bets placed on the betting machines in Paddy Power shops in the UK and Ireland only Over 18s only. 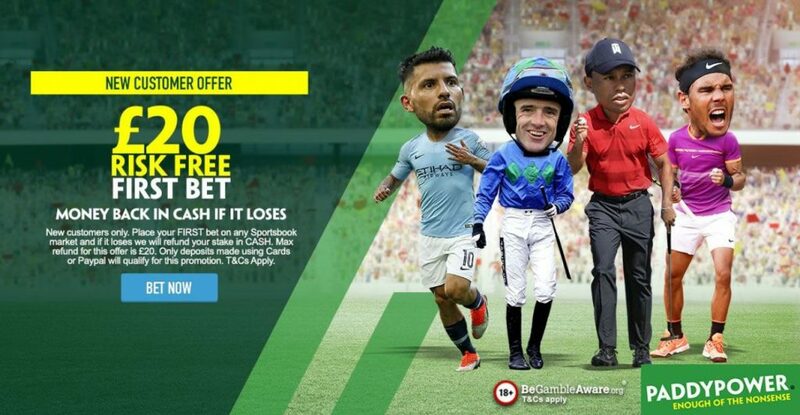 Offer valid for a limited time only and Paddy Power reserves the right to withdraw this promotion at any time and withhold free bets from any customers that have not adhered to these Terms and Conditions. This includes customers attempting, or suspected to be attempting, to abuse this offer. A £32 bonus will be awarded for every £10 deposited on your first purchase. For example, a deposit of £15 would generate a £32 bonus, additional deposits do not qualify. The maximum bonus is £160. This bonus will be credited to a player’s Bonus Balance and are subject to our bonus terms and playthrough requirements before being withdrawn. Different games contribute different amounts to the playthrough requirements. Click here to find out the different contributions per game type. This offer is valid for a player’s initial deposit only. Players must opt-in using the notifications to receive the bonus. In the case of the notification not appearing, please contact Help Centre before depositing to ensure the bonus will be awarded. The bonus is to be used within 7 days of qualification. 32Red reserves the right to remove unused bonuses and related winnings if the promotion’s terms are not fulfilled within this period. The casino may, at their sole discretion, change the terms and conditions for any reason whatsoever without notice to the end users. No correspondence will be entered into. 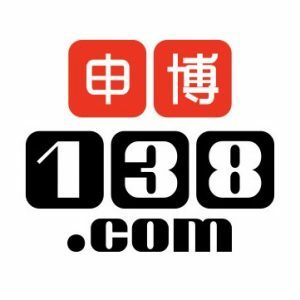 32Red’s decision will be considered final in the event of a dispute. 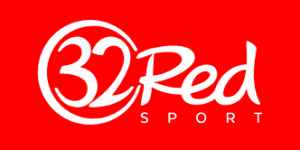 32Red owns and operates a number of casino brands and reserves the right to limit the number of new player Welcome Bonuses that may be taken up by a player across it’s brands in the following way. By claiming this welcome bonus offer at 32Red, unless specifically and personally invited, you are prohibited from claiming a welcome bonus at Dash, Nedplay or Golden Lounge casino. To clarify, this personal invitation will only be sent prior to you opening an account at that casino and should not be confused with any other communication that you may receive having opened an account. Should you contravene clause 11 in respect of claiming the welcome bonuses at the specified 32Red-owned casino(s) without an express invitation from the casino, then the bonus amount credited to your account will be forfeited and any remaining balance in your account at that casino will be credited to your Bonus Balance and subject to a playthrough requirement of 50 times before any withdrawal can be made.